Today, We compiled a fascinating list of all time best goalkeepers of our country. We bet most of our readers and the entire country might have forgotten about some of the things these great men did for our country. Lets roll through the list. Itumeleng Isaac Khune (born 20 June 1987) is a South African professional footballer who plays as a goalkeeper for Kaizer Chiefs in the Premier Soccer League, as well as the South African national team, both of which he is captain. 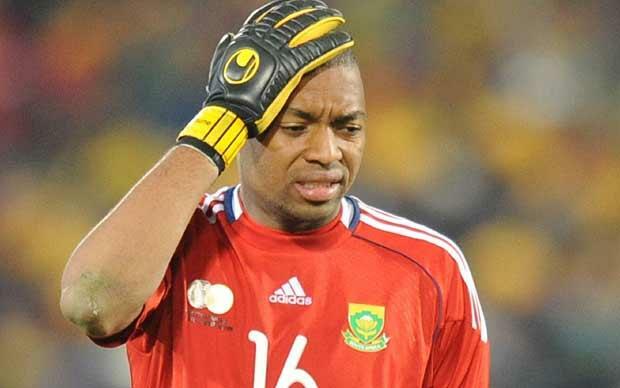 Khune is known for his quick reflexes and his distribution which has been hailed as “the best you will see anywhere” by former Liverpool goalkeeper Sander Westerveld.